I have a rather unique set of answers for this week’s post and I am excited to share them with you! This week I have been captivated by Sideways by Citizen Cope and I just love the slowly building cascade of musical and lyrical rhythm. This week I learned what a “handler” is. A handler is somebody who supports a politician so that they can focus on their campaign. 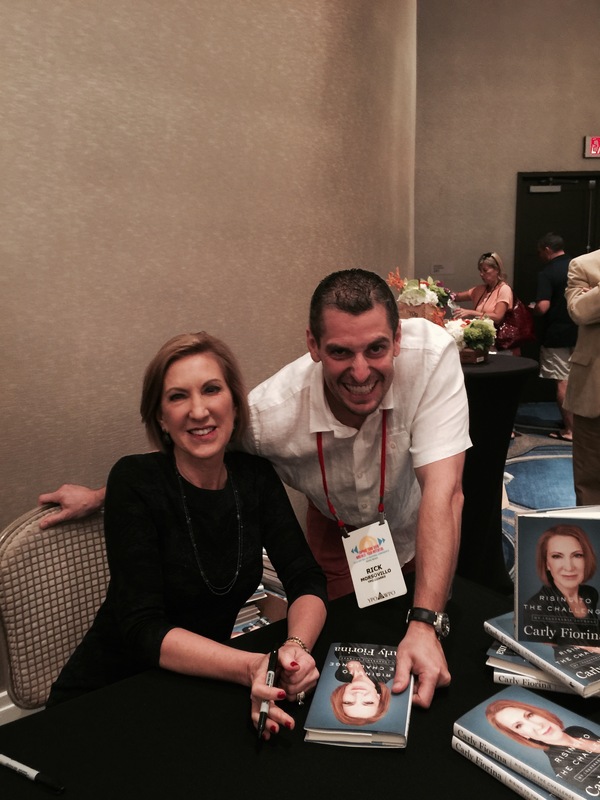 As it turns out, I was once a handler for Carly Fiorina even though I didn’t know it at the time. Lastly, this week I am thankful for all the friends that I have met around the world. I think technology is pretty sweet and I love that it helps me stay in contact with people that I have met around the world. I hope you enjoyed this week’s installment. I look forward to sharing more of my inspirations with you next week. Until then, my name is Rick Morsovillo and welcome again to my personal blog.